We are all unique in our own ways. It is up to us to find and define what our potential is, and then capitalize on it. Don't wait for somebody else to tell you what your potential is. With the burning desire inside of us, we can drive our ship to the top of our belief level. But not if we have a strong belief in ourselves. We will pick ourselves up again, and rewrite our story. Rock bottom is a great place to start a new chapter of our story. "The Phoenix Rising", makes an exciting new chapter. 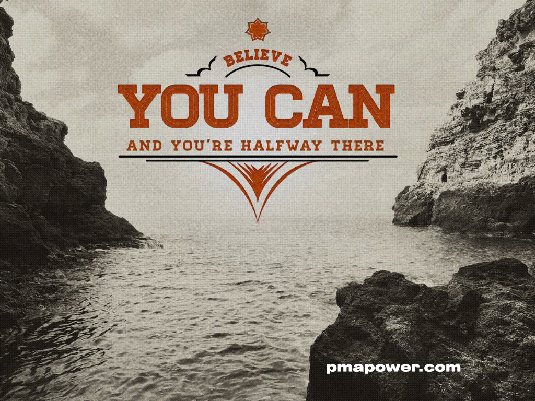 Believe you can and you will conquer any situation. Have faith in your strength and resilience. It doesn’t matter if those around you have despaired and given up on you. What matters is that you still believe in you! Giving up is not an option! Remember you are the biggest fan of your successful life’s story. Don’t disappoint yourself. Believing in ourselves is a major factor in our self-motivation. A self-motivated person has the confidence to step out of their comfort zone. The belief in our abilities gives us the faith to enter uncharted territories. Being our number one fan starts a fire deep inside of us that gives us the strength to withstand the toughest situations, and nothing can stop us, to forge ahead and follow our dream.